What happens to trusts and companies when officers lose legal capacity? The penalty of the greater longevity enjoyed in Australian society is that more people will have to deal with loss of capacity; their own or that of a family member. It has been estimated that by 2020 there will be over 330,000 Australians with dementia. Many Australians have family trusts. These trusts hold investments or businesses assets or sometimes entire businesses. Frequently trust deeds have a trustee who manages the trust on a day to day basis who is either one or more family members or else a company of which one or more family members are the directors. In a majority of trust deeds the trustee is chosen by the appointor and the appointor has the power to remove the trustee or replace the trustee or add new trustees as he or she sees fit. The appointor may be one person or several. Most deeds provide that if the last appointor dies without nominating anyone to take his or her place the trustee can appoint a new trustee. Many provide for automatic replacement when an appointor dies. Unfortunately, few deeds are drawn to take into account that in our modern world appointors and trustees may lose legal capacity long before death. What happens to the trust? Who makes the decisions when the person is still there but does not have the capacity to actually manage the business or investments in the trust structure? An example: James and Annie were the joint trustees and the joint appointors of the Hacker Family trust. Annie passed away and James was left as sole trustee and sole appointor. The deed, like most deeds, made provision for the appointor to appoint a new trustee and also allowed an appointor to appoint a new appointor in his will or by a deed. James made provision in his will for his daughter Lucy to become appointor of the trust after his death. Unfortunately, in his eighties James lost capacity. James became confused and could not remember his address or what year it was. He certainly could not manage investments in his family trust. James could not sign documents or make decisions and so was unable to act as trustee. James was also the appointor for the trust, but because he could not sign documents or make decisions he could not appoint anyone else as trustee or appointor of the trust. The provision for Lucy to become appointor in James’ will did not help as nothing in a will has any effect during the life of the testator. There are provisions in the Trustee Act 1936 which can assist where a trustee becomes incapable of acting as Trustee. However, where the trustee and appointor are the same person the appointor will be unable to appoint a replacement trustee. In this scenario, depending on the deed of the trust the provisions in the Act may not operate or may not result in control passing to the person James would have chosen. Whether and how the Act operates will depend on the wording used in a particular trust deed. This awkward situation can be avoided by ensuring your trust deed deals with the risk of a lack of capacity. Most deeds, even older deeds, are able to be amended to deal with lack of capacity of the appointors or trustees without any tax or stamp duty consequences. Where the trustee is a company it is usual to find a clause in a company constitution that automatically retires a director who does not have legal capacity. If that was the only director then it will be up to whoever holds the shares to appoint a new director. If the shares are all in the name of the person who lost capacity and he or she has a properly appointed attorney, that attorney will be able to make the decision. If there is no power of attorney in place a court must decide who will manage the affairs of the person who has lost capacity and this may well be the public trustee. The public trustee is an expensive and often unwelcome option. The public trustee may not appoint the person you would have chosen as a director of your family company. 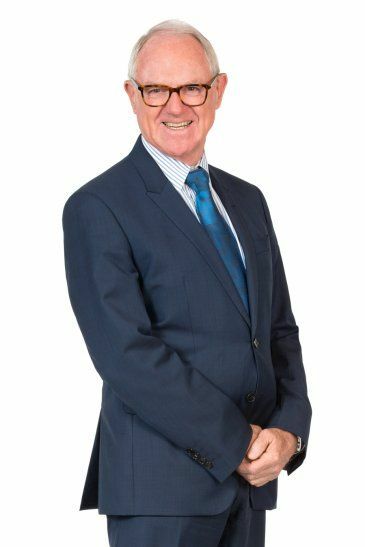 If you have concerns about how your family business and investment structures may be affected by a lack of capacity of an office holder, contact John Tucker to discuss the issues and how the documents might be adapted to ensure your wishes are followed and your family is taken care of in the future. Alzheimer’s Australia 2020 Summit submission, 2008. Great Software, Great Idea – But is it Patentable?